We can connect this type of projector with any DVD movie or DVD presentations. 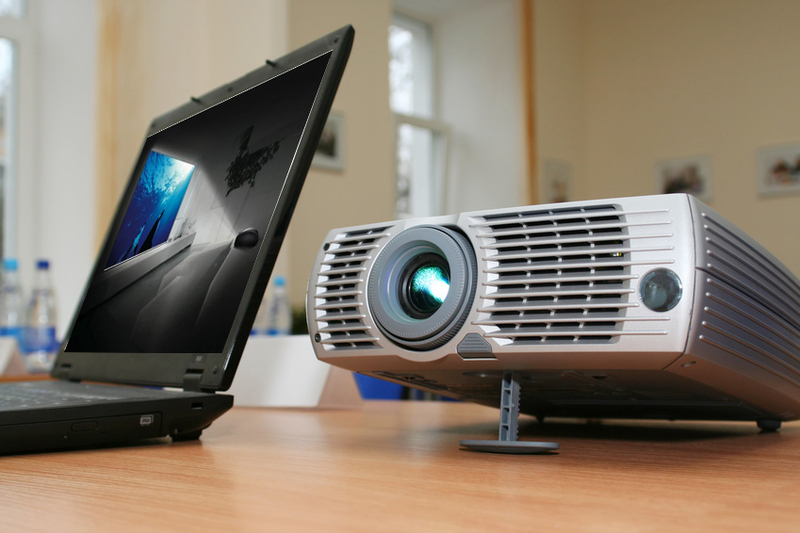 We supply the projector screen, and speakers, you just need to bring the DVD disk. (305) 351 6287 April, Special. Free Delivery & Free Set up! We are the leaders on Projectors Rental. Whatever it be, in academic conferences, social activities, parties, meetings, for business presentations you can project any thing displayed on your regular laptop or computer. (March 2016) “I am a DJ and I needed a projector and a projection screen to show musical videos for a party that I was hired for as a contractor. The guys from ACD gave me a very good price for the rental of that and very good service. They arrived on time and installed all the equipment in a professional and quick manner. My client was very happy and promised me more contracts.